Vis Island is a remote Middle Dalmatian island and is extremely unique. It was the military base of the Yugoslavian army for almost 50 years and was closed to tourists. 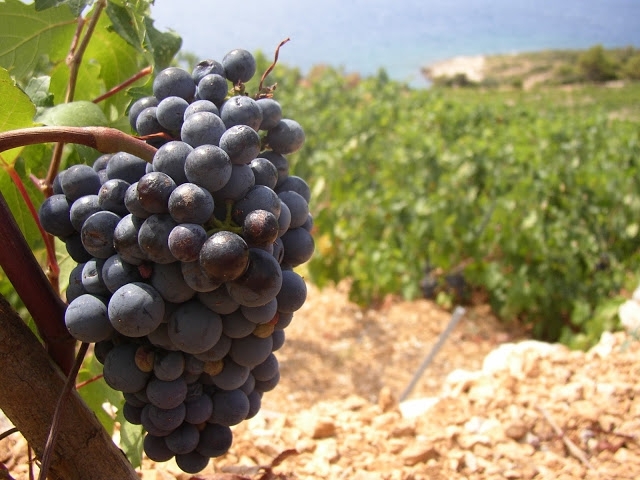 It is geographically isolated and takes two and a half hours by ferry from Split to get there. The natural settings and wildlife of Vis Island remained almost untouched by mass tourism as a consequence of its remoteness and history. In 2003, the World Wildlife Fund (WWF), designated Vis Island as one of the 10 most pristine, preserved Mediterranean islands. This uniquely formed pebbly beach - surrounded by high cliffs on its right and left sides was awarded the designation of "a most beautiful beach" in 2016 by European Best Destination. 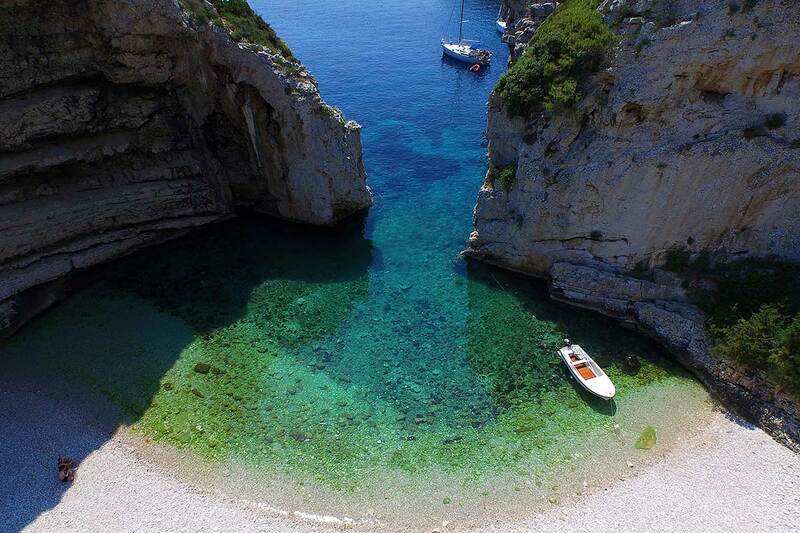 Stiniva Beach is located at the south side of Vis and one half of it is always in a shade because of the surrounding cliffs. The beach may seem secluded, but it is not. The expectation of privacy ii interrupted by the frequent boat tours of Stiniva Beach and the clicking of cameras from the tour boats. Stiniva Beach is not the only gorgeous beach on Vis Island The eastern coast of Komiža canal is home to numerous pebbly beaches like Gusarica, Nova Pošta and Velo Žalo. Take a swim on the pebbly city beach Prirovo when you visit the city of Vis. If you have children, you may also enjoy the sandy beaches of Vela Smokova, Milna, Zaglav and Stončica coves. 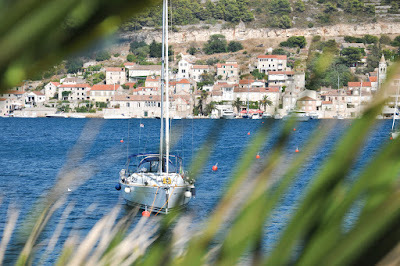 On the south side of Vis Island there is another Croatian island delight... Biševo Island. Biševo is an island in the Adriatic Sea in Croatia. It is situated in the middle of the Dalmatian archipelago, five kilometers southwest of the Island of Vis. Its area is 5.8 km² and it has a population of 15. 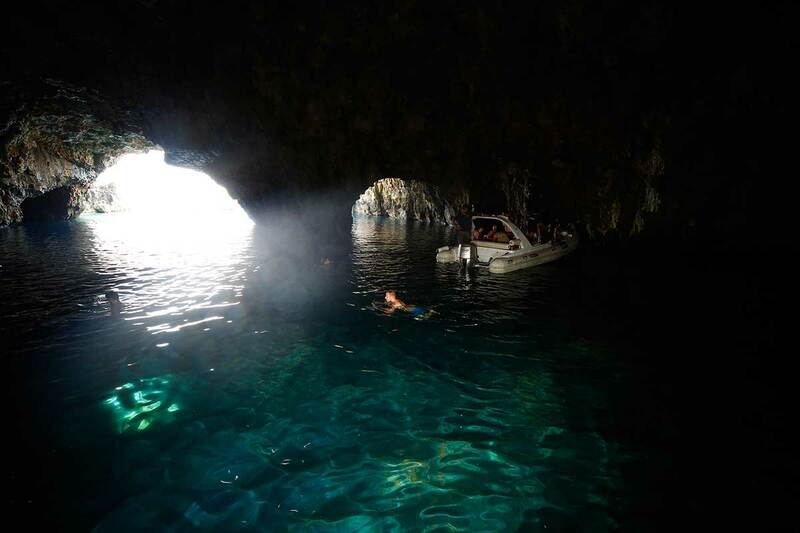 The eastern side of Biševo Island boasts the world famous Blue Cave. The cave is dark blue making it rather mystical. This phenomena is created by sunlight reflecting off the cave floor which colours the water deep blue while leaving objects in the water silver, another oddity of the Blue Cave. To see the unique blueness of this cave you should visit it around noon by boat from Komiža that sails several times a day. After you enjoy the Blue Cave you should also take in the breathtaking Green Cave on the southwest side of Ravnik Island. 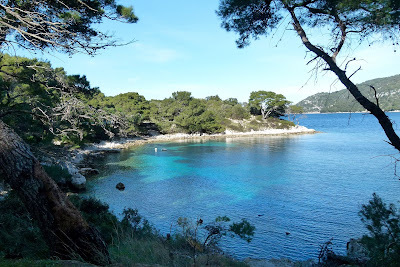 You can get there by frequent boat trips from the Rukavac cove on Vis. This cave derives its name from the green reflection made from the green algae that live at the bottom of the cave. Vis Island has a distinctively rich history considering it is a small island that has been far removed from the usual tourists. It was first a Greek colony and then a Roman colony. The Venetians ruled Vis Island for a period. The British and Austrian rulers fortified the island. Their fortresses stand today as a monument to Vis' stormy and diverse history. Vis Island's checkered past also left its mark on its language, which is barely understood by other Croatians. In the Vis Island language you will find a number of words borrowed from Italian, German, English and Hungarian. History lovers should visit the Archeological museum in the city of Vis, which is housed in an Austrian 19th century fortress. The museum keeps a collection of over 600 Greek amphora and the bronze head of the Greek goddess Artemis. After you take in the Archeological museum, you may also wish to visit the remains of the Greek colony of Issa. This is situated below the Gradine Hill, on the north side of the island. There too, you will discover the laid back lifestyle of Vis Island.